Reston, Va. – mazu, a leading technology and satellite communications company, announced today the launch of the mazu SportFishing app. Giving anglers vital weather and sea state information, and providing powerful communications capabilities via satellite, mazu SportFishing creates a more strategic and productive offshore experience. 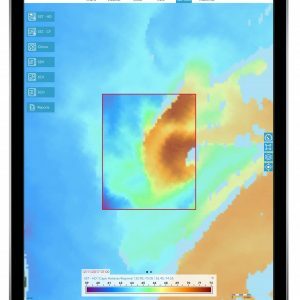 The mazu SportFishing app links with mazu’s m2500 hardware to offer reliable, affordable, global service using the Iridium satellite network. 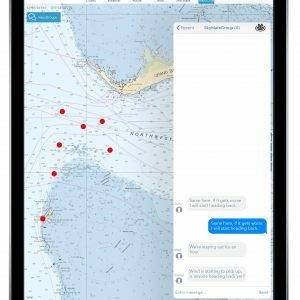 An industry first, mazu SportFishing offers a unique method of in-app connectivity with its innovative mazuChat. This powerful functionality centralizes communication with friends and other sports fishermen, allowing anglers to quickly and easily relay information on a private and reliable connection. Users can see their location as well as where they are in relation to their friends. If someone finds a great place to fish, the straightforward interface makes it simple to coordinate multiple boats and get them heading in the right direction. Users can also select to hide their location by removing geographic information from specific, or all, chat contacts. mazuChat also provides worldwide email and SMS communications, even when outside of cellular coverage. 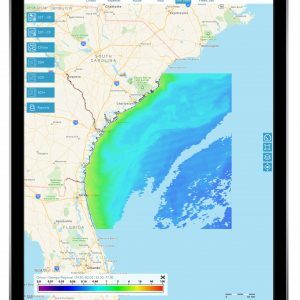 The mazu SportFishing app also provides easy access to comprehensive weather information, including sea surface temperature (SST) reports, chlorophyll data, altimetry and more on a mobile device. 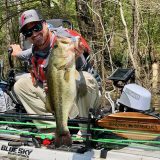 Helping anglers zero in on waters that hold fish, users can quickly overlay SST satellite images or chlorophyll charts to easily find temperature breaks and to see water clarity. The app also gives seven-day GRIB forecasts, live buoy data and NOAA weather alerts. With the ability to overlay nautical charts, access to on-screen tracking, and the option to create, edit, import or export routes, mazu makes offshore navigation simple. Real-time NMEA navigation and weather information is also available. In addition, the app delivers reliable, worldwide search and rescue service, available 24/7. Once an SOS is activated, responders know the vessel name and position immediately and two-way communication with responders allows users to provide information about the emergency at hand. The mazu m2500 used in conjunction with the SportFishing app, provides global satellite connectivity for anglers. Sold as a bundled package with everything required for a quick installation, the solution includes an ISI-2000 communications hub, a compact IGT-2100 smart antenna with a 30-foot digital cable, and an illuminated keypad with message waiting indicator and SOS emergency buttons. 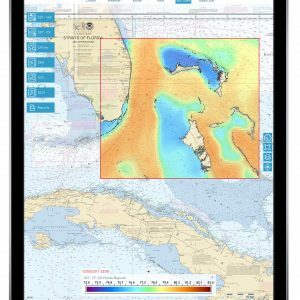 mazu SportFishing is priced at $129.99 and compatible with iPads running iOS 10.2 or later. 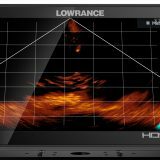 The m2500 bundle is priced at $995. 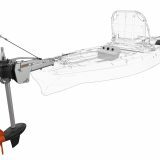 For more information about mazu SportFishing, the m2500 and other mazu products, please visit www.mazu-marine.com. ClearPoint weather, anybody else tried it? Inmarsat IsatPhone, bring it on!